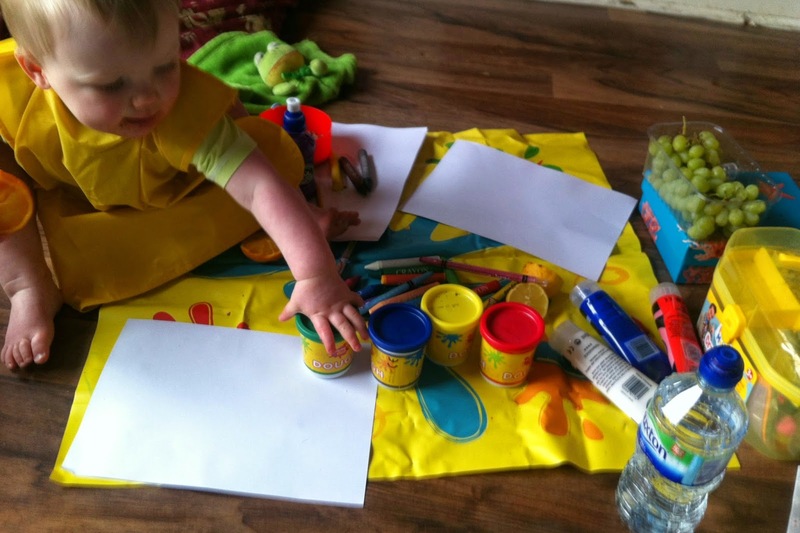 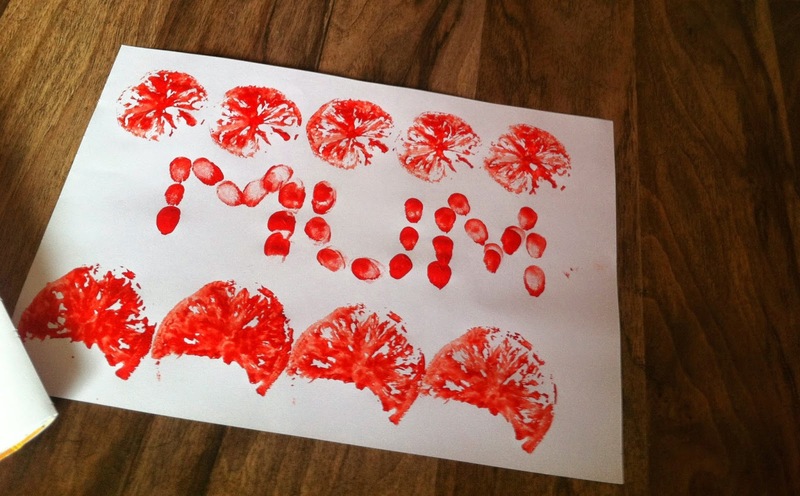 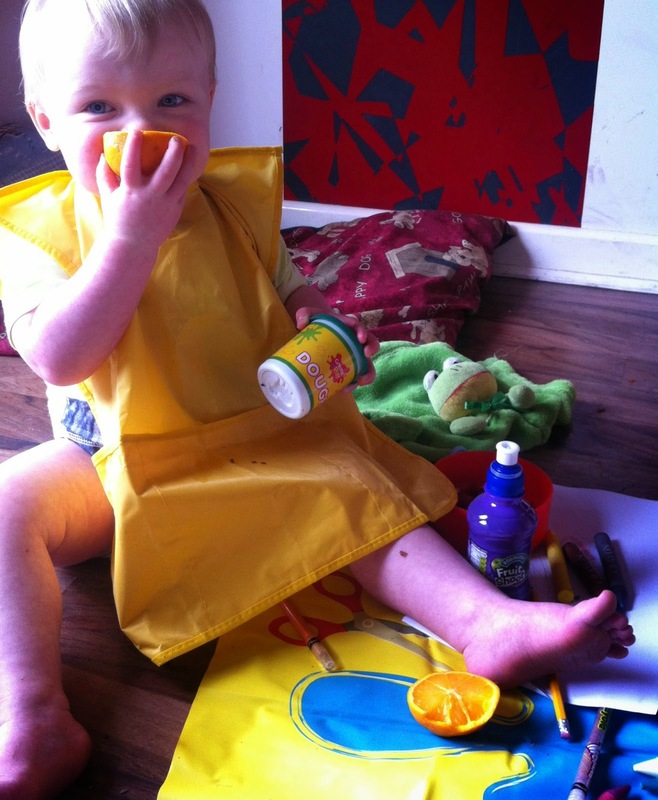 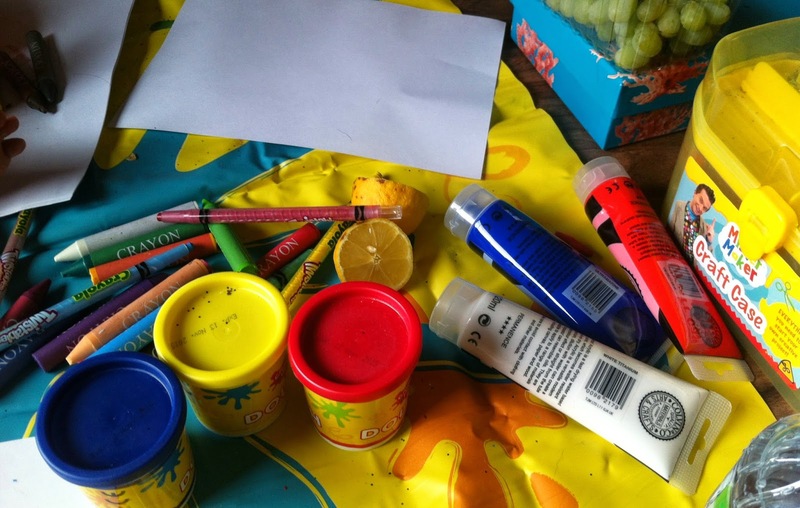 Hello lovelies, when its raining heavily outside I am always stuck on ideas on what to do with little man, we usually get bowls of healthy snacks and watch a couple of Disney films but I thought today we would get our arts and craft on. 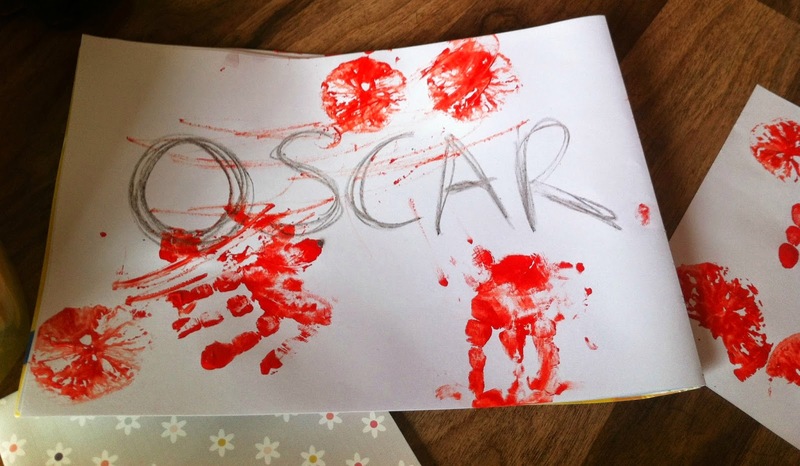 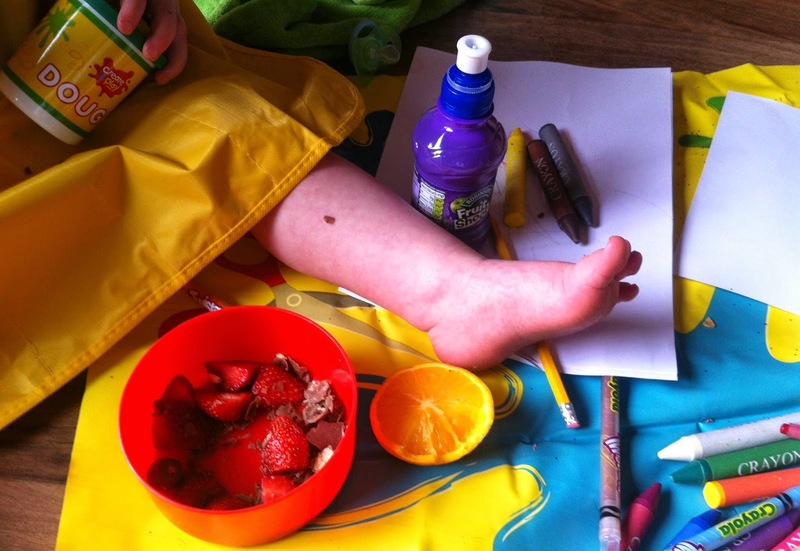 We failed to begin with as Oscar was eating the printing product ( the orange) even after I got his snacks sorted grapes, strawberries and a bit of chocolate, kids ay! 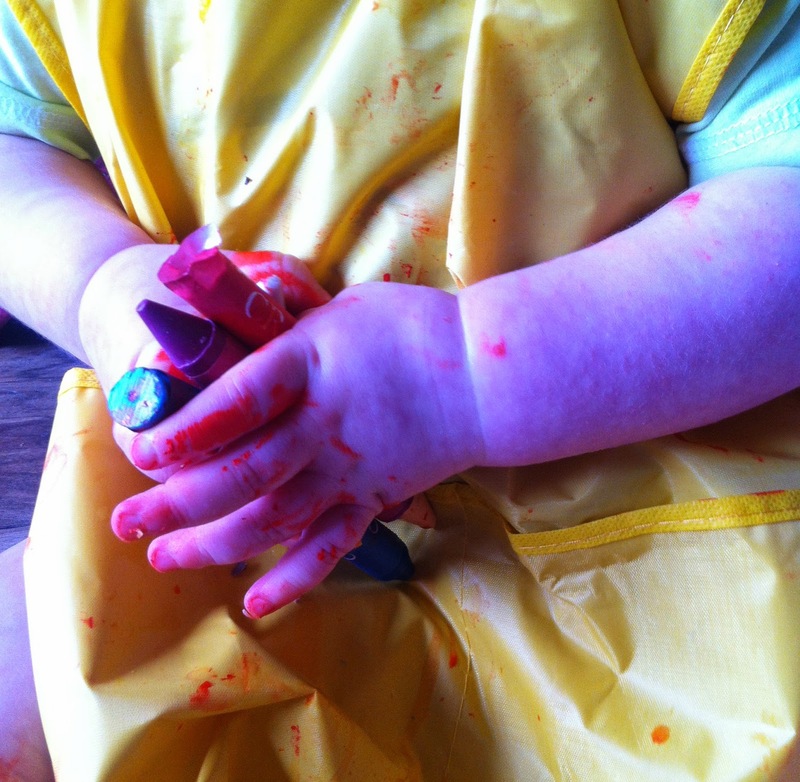 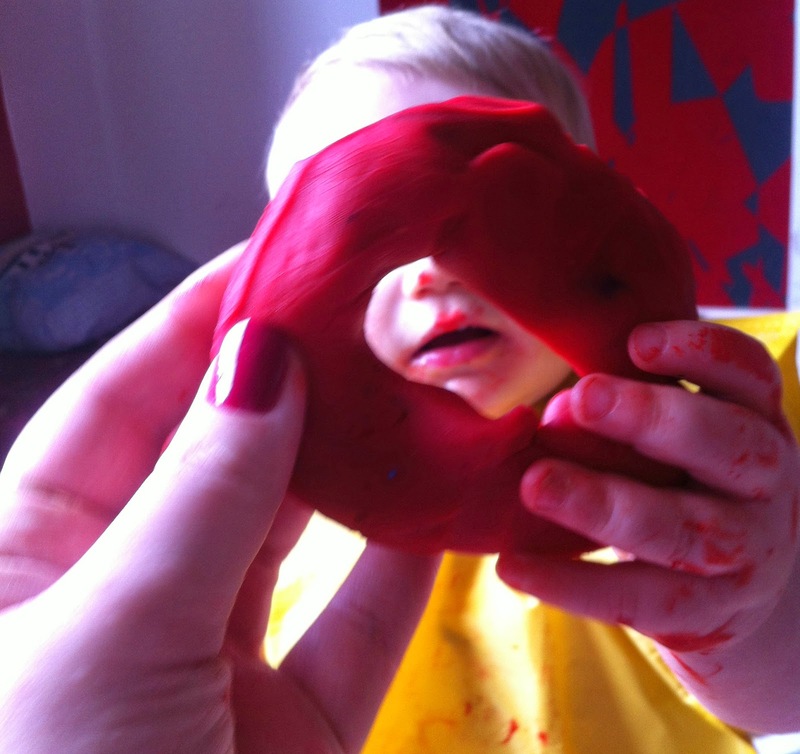 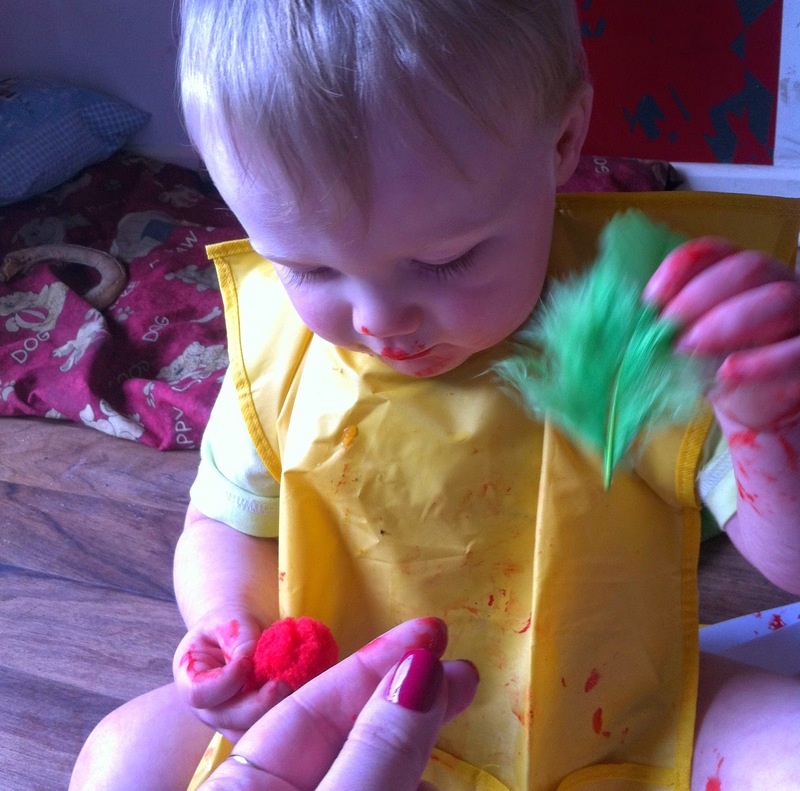 But after that incident we had lots of fun with play-dough, paints, feathers, crayons and all sorts with a lot of mess too. 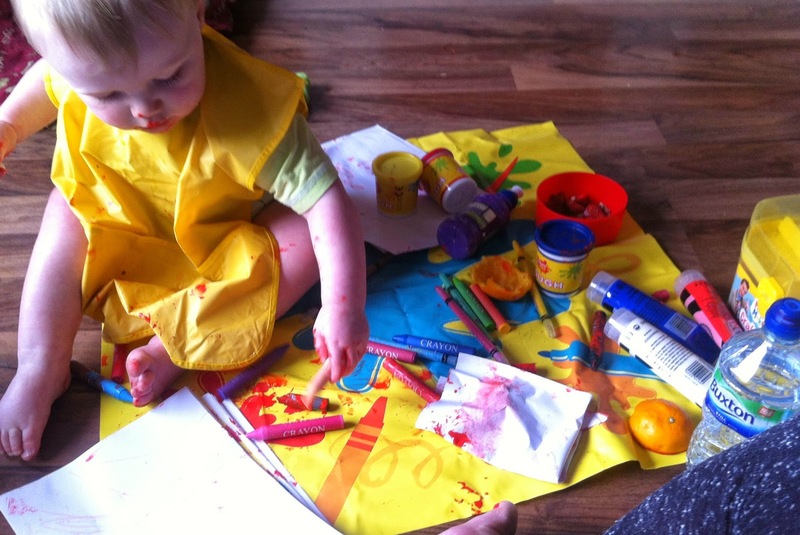 Sometimes it is nice to just stay in doors and play around with stuff you already have in the home, you could do some DIY, play with toys, read books, all sorts your children only want to be interacted with, I love nothing more than seeing a smile on his face.